Soft(ware) Cinema is a dynamic computer-driven media installation. The viewers are presented with an infinite series of narrative films constructed on the fly by the custom software. Using the systems of rules defined by the author, the software decides what appears on the screen, where, and in which sequence; it also chooses music tracks. The elements are chosen from a media database which at present contains 4 hours of video and animation, 3 hours of voice over narration, and 5 hours of music. Affective Cinema is an interactive video installation. The order and parameters of image and sound shown on the video are influenced according to the visitor�s measured emotional response to displayed video clips. 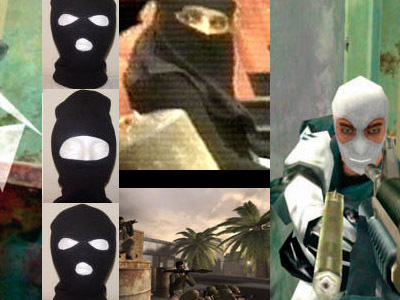 Players see more important video scenes; the stronger they react, the more they understand of a secret system, where abstract characters and objects tell a situation of social dependencies and connections. There is an abstract spatial situation: only elements like windows, doors, cars, etc. are placed in a wide unlimited white space � no walls or environmental elements. The sound has the important function to create that space in the human mind and to cause additional emotional reactions. 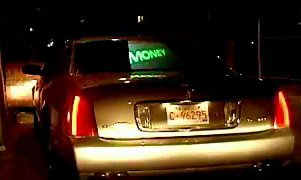 by Julie Andreyev, at New Forms Festival 2003, consists of 3 cars fitted with video projection on the rear windshield. Each car has a theme determined by the character of the car, and by characteristics of the host city where the fleet is mobilized. The choice of cars for the project reflects the specific car culture of the host city expressed through customization and branding. The cars are set up with equipment to allow for mobile video downloading, and video mixing using data from the car. While the fleet is mobile, videographers in the downtown site are creating videos for projection on the cars. The themes are used as a guide for them to create footage of the activities of a city's inhabitants. This footage is uploaded by the videographers onto a web server. Then, the footage is downloaded by the cars as they drive by WIFI (wireless internet) download sites. A sound artist records ambient sound using a microphone held outside the window of one of the cars, mixes this, and plays it back using an FM transmitter. Nearby cars can tune into our frequency and hear the audio sampling. Each car is equipped with a sensor and software patch that interprets data from the car. For example, one sensor reads data from the engine speed. This data causes a kind of 'jittery' effect to be applied to the video. The faster the car revs, the more 'jittery' the video. In this way, not only are the inhabitants of the city portrayed, but also the car is expressed in the video. After the performance, the cars can be driven into a gallery space where they can be set up to project their archive of the evenings' videos. The goal of this project is to create a mobile portrait of the city through video and audio sampling of real time events. VJ-Fleet relies on current VJ (or video jockey) culture and the hosting city's local car and social culture. For each performance the project is customized and scaled to reflect the particular nature of the host city. Chris Salter's current work presented at the Subtle Technologies Symposium, University of Toronto, Canada, reminds me that we become savvy to knowing that at the ATM, on the roadways and sidewalks, in shops, in elevators, we are being recorded, monitored. We have grown accustomed to speaking publicly in everyday distributed conversations that are publicly private. Yet we ride the subways not seeing each other, cultivating not looking. Are we so comfortable with the pervasive camera that we would automatically turn away if we didn't wish to have a particular action captured? Can we maintain that awareness in a invisibly sensing environment? How does coming to live comfortably with this change us? Are we aware, or is it just our environment that's aware? "Much recent theorizing concerning bodily extension through technology has largely seen the physical body as a site for machinic intervention. Through prosthetic devices, mechanical, electrical or (more recently), computational implants, theorists have speculated on the blurring of traditional notions of identity as the physical body is mutated, intensified or transformed by technological instruments. Yet, increasingly through ubiquitous/pervasive/ ambient computing paradigms and wireless sensing, artifacts, objects and physical space itself are also being charged with properties traditionally associated with living bodies: tactility, "hapticity" and "skin," sentience, "awareness," and memory. 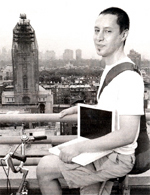 The trajectory towards context-aware computing environments and ambient/responsive media spaces is resulting in two markedly important shifts: a move away from the accepted model of human-computer interaction towards one of environment-inhabitant interaction and an overall rethinking of the cyborg paradigm. While ubiquitous/ambient/pervasive computing is viewed as the future, the socio-technical repercussions of technologies are rarely focused on. What constitutes a body when space itself becomes "aware" and sentient? What happens to our notions of identity and embodiment when we interact with digital systems; with what Bruno Latour calls "non-human" systems? Who is the subject and who is the object of such interactions or do such traditional notions of fixed identity no longer suffice in computationally-augmented physical environments? This presentation will concentrate on these issues by focusing on a large scale performance/installation/research project (working title Suspension/Threshold) currently in development. Focusing on the theme of thresholds or bardo (in between) states, the viewers/audience physically move through three different media spaces over the course of a single evening: (1), time-based audio/visual composition, (2) performance for single actor inside a ubiquitous/ambient computing environment driven by a complex wireless sensor network and, (3) responsive environment that lies barely on the threshold of human perception and is interacted with through the aggregate breathing patterns of the collective audience/participants. Suspension/Threshold both challenges standard notions of body, subject, object, performer and audience as well as poses serious issues for the technical and experiential design of such pervasive or ambient computational spaces within the context of the stage; a stage inhabited by performers and audience members alike." 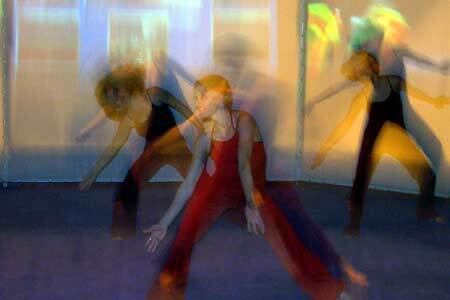 Looked at a piece called Dancing Beyond Boundaries done in 2001 between the Universities of Florida, Minneapolis, Campinas, Brazil and the SuperComputing Conference in Denver. Using the Access Grid and Internet2. It seemed to exploit technology in new ways but not explore virtual space as a stage, as over and against using a screen where a real-life stage is shown via film (video). Or: is this the perspective of the archivist? Immersive, Pervasive, Ubiquitous, Sentient. Chris Salter's work with Sponge, though I've only read about it, is presented in a manner that makes me expect his group's works would be enveloping, engaging, interactive - that this is a responsive environment. Experiential, versus presentational, which is what Helen references when she questions what is it to "explore virtual space as a stage". This raises interesting issues about space as both computer space and actual space now with tracking, compositing, GPS, sensors, that can interact in real-time via wireless networks. The space within the computer interacts with and responds to actions in physical space. We now simultaneously inhabit both. GPS, like the internet, a military hand-me-down, is a double edged sword in terms of being both an enabler and a tracker, engaging the surveillance/ freedom issue. To use the technology one needs accuracy. The greater the accuracy the more information the less free the subject of the data. Who controls, accesses, data, the public air, space. 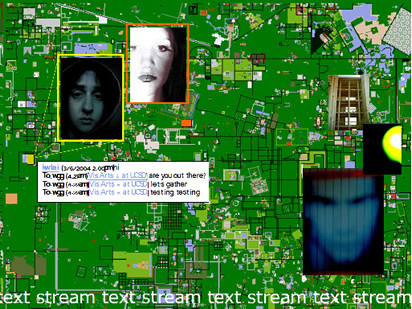 Hacktivism (electronic resistence within the network) has fed into tactical media: urban, mobile performance events. Being 'wired' has become mobile, ubiquitous, sentient, pervasive, OMNICIENT monitored, computing. As we desire our movies and games to be more realistic - hyper-realistic - we now inhabit our computer-mediated, if not computer-generated worlds. We interact through joysticks that exert pressure to our response. We track oursleves with GPS-equipped devices, we pass and receive data streams: enveloped, engaged, connected, linked. There's a surge in public events - happenings - Kaprow's "Environmental Theatre" of the collective, enabled by wi-fi technology and taken to the streets: MOBILized. "In fact we introduced the term tactical to disrupt and take us beyond the rigid dichotomies that have restricted thinking in this area for so long: dichotomies such as amateur vs professional, alternative vs mainstream. Even private vs public. Our hybrid forms are always provisional. What counts are the temporary connections you are able to make. Here and now, not some vaporware promised for the future. But what we can do on the spot with the media we have access to. Here in Amsterdam we have access to local TV, digital cities and fortresses of new and old media. In other places they might have theater, street demonstrations, experimental film, literature, photography. Tactical media�s mobility connects it to a wider movement of migrant culture." When: August 30, during the Republican National Convention, New York City. Two women in gear are on the ground. One with a laptop and the other with a projector pointing onto building walls in 3 key locations in the city. They are connected through a mobile wireless bicycle to an online team of five game players located around the world. They intervene on servers in a popular online military simulation game with performance actions carried out by the whole team.The live projections in the city can also be viewed through a web cam on the OUT website. Magicbike is a mobile WiFi (wireless Internet) hotspot that gives free Internet connectivity wherever its ridden or parked. By turning a common bicycle into a wireless hotspot, Magicbike explores new delivery and use strategies for wireless networks and modern-day urbanites. Wireless bicycles disappear into the urban fabric and bring Internet to yet unserved spaces and communities. Mixing public art with techno-activism, Magicbikes are perfect for setting up adhoc Internet connectivity for art and culture events, emergency access, public demonstrations, and communities on the struggling end of the digital-divide. Finding Time (Jesse Gilbert, 2000). Finding Time linked performers on six continents in a series of live musical events, each an hour�s duration. World Wide Simultaneous Dance (1998, Laura Knott). The project took place simultaneously in twelve countries. In both examples the performers played to audiences in their performance spaces and to a worldwide Internet audience by means of especially created websites. I then move on to a brief history, beginning with Kaprow's "Hello Hello" in the mid-60s--about which I can find very little information other than that it linked five sites in a television event. And on to Kit Galloway and Sherri Rabinowitz. But the history is the not the question for me. Internet works resonate with historical issues. But what I'm beginning to think as I research for the conference is that we may already have witnessed the passing of the (pre)structured presentation of large-scale performance works--I keep thinking, for instance, that while Adrift (1997-2001) was very different from other works produced at its time, it was also very traditional. It was a work by three artists (the senders), in which its audiences had no agency at all--Like radio, like television, they were cast in the role of "receivers." 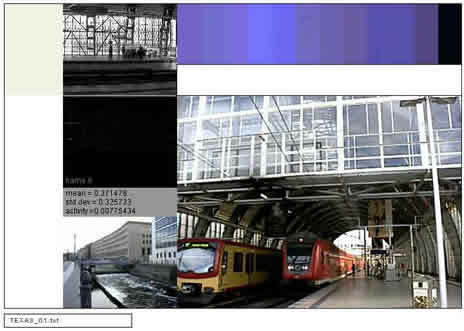 environments in which the former viewer can play an active role. Which may begin to explain why there are really not very many interesting large performance works being produced at this time. Not only is the technology still difficult but the environment is no longer congenial. Or am I wrong? And if not, what does this do for/to our conference? I'm going to think about this for awhile. Right now my only thought is that if this is so, the conference itself should reflect it and include the many twists and turns performance has taken in the last years. Described by Adriene Jenick as a "Speculative Distributed Cinema Project....a series of fictional events performed as distributed cinema. SPEC-FLIC is a platform for speculation, creative experimentation and imagination among UCSD students, faculty, staff and the larger public. SPEC-FLIC's title refers to speculative fiction (an area of science fiction that is focused less on new science/tech and more on societal impacts) as well as to the size (a "speck") of the PDA-based video frame that serves as the conduit for this durational collective performance. Originally described as a distributed science fiction soap opera in three phases." Adriene, tell us about this image. What is the technology and experience behind this work? Would you speak about the progression of your work from Paper Tiger television to Desktop Theatre on the internet to Active Campus and Spec Flic on the wireless network? In your initial post you note these ongoing issues. Can you discuss them by way of examples from your work? all of my work is engaged within the larger "publc sphere" and cedes a large amount of control to the folks who are engaging with it. Regarding SPEC-FLIC, your blog shows you in the midst of testing equipment. What are you testing? What is your creative process for working with technology and networks? They were non-verbal, theatrical productions that abandoned the stage-audience structure, did away with the usual plot or narrative line of traditional theatre; made objects of the performers and set them within an overall design of environment, timing, sound, color and light. They were accidental, spontaneous and planned -- each a unique event shaped by the action of the audience that participated in it. Nam June Paik devised a piano concerto for simultaneous performance in San Francisco and Shanghai, with the left hand part being played in the USA and the right hand in China. The first telecast to Europe and America took place over Telstar 2 in July 1962. Woodstock, New York, August 29, 1952. David Tudor placed John Cage�s hand-written score, 4'33" on the piano and sat motionless. The score indicated three silent movements, each of a different length. Tudor signaled its commencement by lowering the keyboard lid of the piano. The sound of the wind in the trees entered the first movement. After thirty seconds of no action, he raised the lid to signal the end of the first movement. It was then lowered for the second movement, during which raindrops pattered on the roof. The score was in several pages, so he turned the pages as time passed, but played nothing. The keyboard lid was raised and lowered again for the final movement. And so Cage initiated a "creative process which successfully detaches itself from the intentions of its author � and from the self-expressive intentional purpose of music" � and introduced a new aesthetic of unintentional sound. What connects the future and the past? The following comment from Benton Bainbridge frames a question that we, the organizers have been asking since we first thought of this blog. What connects the future and past of networked performance. How has networked performance evolved? What directions has it taken? A real understanding will come from individual replies to the questions Benton has posed. We hope you will make an effort to answer them. From Benton: "my personal interest would be connecting the dots between the future and the past of networked/collaborative performance. can we advance today's efforts in distance collaboration through global and local digital networks by studying similar ambitions in earlier networked media? my background is live audiovisual performance. the history of this discipline still hasn't been written, so as a country boy i drew inspiration and guidance from other collaborative arts: live music, underground comix 'jams' and performance art. Laurie Anderson, "Good Morning Mr. Orwell" and Youngblood's "Expanded Cinema" were key triggers too. i'm curious how networked performance artists on this blog developed their art. how did you get into networked performance; what was your inspiration and how did you map the territory - firsthand R&D or study of past masters? This from the UK: "Unlike with opera, people often ask, 'What is Live Art?' The answer is people have been experiencing it for the last hundred years, from the earliest events at the Cabaret Voltaire where DADA was born to the happenings of the Sixties which influenced Andy Warhol, and in the 21st century this tradition continues to mutate." Today Live Art is witnessed at perfomances by Vanessa Beecroft or The Battle of Orgreave by Jeremy Dellar. Live Art is an interrogation of the aesthetics of presence. Live Art is about being there. "Live Art mixes genres and diverse cultural experiences to express the complex organisation of contemporary life. It often involves work which questions commonly held assumptions. Live art is the trash-can of culture recycling and celebrating the debris of the modern world." 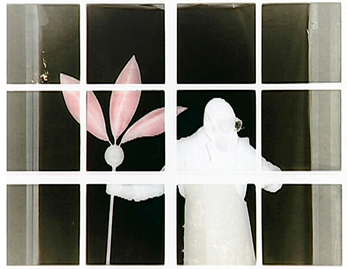 : In 1965 Kaprow explained his evolution from collage to environments and happenings: "The action collages then became bigger, and I introduced flashing lights and thicker hunks of matter. These parts projected further and further from the wall into the room, and included more and more audible elements: sounds of ringing buzzers, bells, toys, etc., until I had accumulated nearly all the sensory elements I was to work with during the following years...." His works expanded until they filled the gallery, creating an integrated environment for the spectator. "I immediately saw that every visitor to the environment was part of it. And so I gave him opportunities like moving something, turning switches on -- just a few things. Increasingly during 1957 and 1958, this suggested a more 'scored' responsibility for the visitor. I offered him more and more to do until there developed the Happening...The integration of all elements -- environment, constructed sections, time, space, and people -- has been my main technical problem ever since." Kaprow's progress did not occur in a vacuum, as he readily acknowledges. Robert Rauschenburg, Claes Oldenburg, and Jim Dine, among others, were also working on theatrical pieces, although they soon returned to more traditional areas; In Europe, Wolf Vostell and the Fluxus Group, and in Japan, the Gutai Group, were all investigating similar directions. The Theory of Happenings: The Happening, as Kaprow developed it, is a non-verbal, theatrical production that abandons stage-audience structure as well as the usual plot or narrative line of traditional theatre. Although a compartmented organization may be used, the performers are considered as objects -- often kinaesthetically involved -- within an overall design of environment, timing, sound, colour and light. Found environments are often used and built upon, but the events are not casually arrived at, nor are they entirely accidental and spontaneous. His view was that the Assemblage was to be "handled and walked around", the environment" was to be "walked into", but the happening was to be a genuine "event" involving spectator participation and no longer confined to the museum or gallery. Performers are encouraged to capitalize upon unplanned occurrences while acting out fantasies based on real life within a certain roughly pre-ordained structure that suggests symbolic and universally basic themes and meanings. A field of aesthetic operation is thus created in relation to life, combining artfully determined materials with strong associational properties, and dimensions with events and things from the sphere "outside" of customary definitions for art. In the following networked performance types we directly see the influence of happenings particularly in the emergence of wireless network enabled Urban Gaming such as the Go Game. Go Game started off as a bunch of digerati having fun with their handhelds. Then it started becoming popular so the developers began marketing their services as event producers to corporations. Now their website has this decidedly corporate slant. Urban Challenge, urrr I guess it's now Verison Urban Challenge. Enough said. FlashMobs have matured to smart mobs. GeoCaching is an entertaining adventure game for GPS users. Participating in a cache hunt is a good way to take advantage of the wonderful features and capability of a GPS unit. The basic idea is to have individuals and organizations set up caches all over the world and share the locations of these caches on the internet. GPS users can then use the location coordinates to find the caches. Once found, a cache may provide the visitor with a wide variety of rewards. All the visitor is asked to do is if they get something they should try to leave something for the cache. The three location-specific performances Dialtones: A Telesymphony, Flip Flop, and Texterritory --you had to be there to experience them--introduced in the last posts were produced between 2001 and 2003 They made use of networked technologies--mobile phones, video/audio relayed by wireless broadband--to involve their audiences in the creation of the performances. Each has done this successfully in its own way, while maintaining control, in the case of Dialtones, a tight control, over the performance itself. Dialtones, as described on Golan Levin�s web site, "is a large-scale concert performance whose sounds are wholly produced through the carefully choreographed dialing and ringing of the audience's mobile phones. Because the exact location and tone of each participant's mobile phone can be known in advance, Dialtones affords a diverse range of unprecedented sonic phenomena and musically interesting structures." Preparatory to the concert, members of the audience register their wireless telephone numbers at secure Web kiosks located in the performance space. In exchange for this information, they then receive seating assignment tickets for the concert venue. New "ringtones" are then automatically downloaded to their handsets. During the concert, a small group of musicians perform the phones en masse by dialing them up with a specially designed, visual-musical software instrument. "Because the audience's positions and sounds are known to the Dialtones computer system, the performers can create spatially-distributed melodies and chords, as well as novel textural phenomena like waves of polyphony which cascade across the crowd; these musical structures, moreover, are visualized by a large projection system connected to the performers' interfaces. Towards the end of its half-hour composition, Dialtones builds to a remarkable crescendo in which nearly two hundred mobile phones peal simultaneously." Flip Flop comprises a group of motion poets, cyborgs, and sound, video and net-artists who collaborate on �site-specific remote connection theater performances� that, in their words, "challenge boundaries between audience and performer, on-stage and off-stage, the venue and the street outside." For instance: the audience is invited to a party where, over the course of the evening, one of the partygoers (actor and motion poet Ajay Naidu) emerges as a performer, and the audience gradually realizes that it is participating in theater. As the performer shifts between private conversation and "narrative outbursts," the event shifts in mood and form. 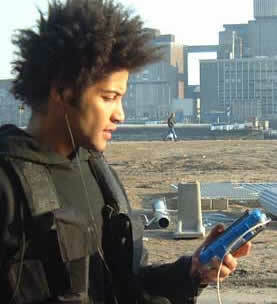 Simultaneously, a performer, equipped with a wearable multimedia-streaming computer roams the neighbourhood. The route is choreographed to synchronise with the performers story, and a live "point-of-view" video feed (as well as audio) from the wanderer is relayed by wireless broadband to the performance venue. Flip Flop was performed in July, 2002. Read a report on Live Streaming as Dramaturgy. "Grace, a Legal Secretary arrives home early to prepare herself for her first real date with Jerome. She�s just bought a new pair of shoes to go with one of those outfits. At the moment she drops her keys on the kitchen table, the text arrives from J � he has been delayed but will be there soon. From optimism to despair from knowing to kneeling in prayer, Grace's dilemmas and insecurities unfold as she figures out what to do with this unexpected time on her hands. Together with the influence of the audience she decides exactly what to wear, who she might call if he doesn't show up as well as trying to reassemble a photofit image of what Jerome really looks like." The multi-media, non-linear narrative "is told through texting/photo-messaging, dance, music, spoken word and animation." Texterritory makes use of a mobile gateway created by new media company Digit. Computers that tally the results of text messages sent to the audience and derives instructions for the performers from them. It thus gives the audience a certain amount of interactive control over the physical bodies, music and lighting at specific times during the performance. Matt Adams of Blast Theory posted a comment of encouragement to the blog's opening and I'd like to follow up with more about Blast Theory and a call out to Matt to respond to some specific questions about their work. This is evident in a survey of their work over the past decade. Formed in 1991, a chronology of their work from 1994-2004 is available on their website where the themes and explorations of technology range from video in live performance to interactive installations with the most recent using a pda or 3G phone to enable a mixed-reality game-based experience. Beginning with their 1999 work Desert Rain and continuing on to the mixed reality works Can You see Me Now (project website), Uncle Roy All Around You (project website), and I Like Frank (project website) they have collaborated with the Mixed Reality Lab (MRL), an interdisciplinary research initiative at the University of Nottingham which brings together leading researchers in Computer Science, Engineering and Psychology to research new technologies that merge the physical and digital worlds, focusing on playful, artistic and educational applications. The projects with MRL are clearly interactive in their game structures and use of mobile, networked technologies. The hybrid online/live action approach was explored in Kidnapped (1998) and interactivity has been a component in the early work since Stampede, (1994) in which the audience triggered how the piece unfolded via pressure pads. Their work has been described as 'somewhere between theatre, performance art, installation and club culture' by Lois Keidan, Director of Live Arts, Institute of Contemporary Arts, London. In reviews of Uncle Roy in 2003 a direct link to the content and approach of their work can be found - a group of friends with various creative backgrounds get together to form a theater company. This comes through in Matt's initial comment to the blog in which he claims his excitement for recent developments in networked_performance, despite the backward looking stance of many traditionally moored theater and dance practitioners. Blast Theory is freed from any prior history in a single discipline by having a group comprised from various practices across which they draw to create their work. Matt, firstly, correct any inaccuracies in the above. Would you tell us what are the backgrounds of the members and elaborate on the evolution of the group from the early years till now. What led to the formation of the group and why theater? It seems that BT has always had an interest in media and technology born of club culture perhaps. What is the importance of the 'live' and 'performance' aspects of your work? As opposed to addressing the same social and political themes about technolgical impact on culture by focusing solely on interactive installations, such as in An Explicit Volume, for example. How did the collaboration with Steve Benford and MRL evolve? How has the relationship with MRL influenced BT's work conceptually? You might also elaborate on how the collaboration has enabled your work to evolve technologically as well. Can you speak about the offshoot of the BT / MLR collaborative endeavor, EVERPRESENCE and your project Vicinity to which you've been able to apply these joint efforts? It appears to include aspects of the mixed reality game-based works and a reality-tv episodic, perhaps. What's the timeline for presenting this work? Today's empyre list (empyre Digest, Vol 18, Issue 14) arrived with a date 1/3/70 and therefore slipped to the bottom my email and probably that of a number of others. "If somebody stops writing in a textbased surrounding, he stops existing, no matter if he just takes a dramatic pause, if he is laged or if his computer is crashed... In graphical systems, you might still be there (as a visible avatar), but you also might already be gone (if you are lagged or your computer has crashed). So in the end, you're just alive while typing, and every new sentence is a rebirth." Melinda Rackham, in her empyre post (which is about games) speaks of the Pause or Gap as "our portal into difference" -- a positive take on a similar occurrence. An opening for the unexpected. A multi-track-multi-driver mix hub streaming jam session of Vienna city vibe, orchestrated in sync with the city's tram routing schedule. TRAMJAM is a project that Shu Lea Cheang started when teaching networked performance at Zurich's HGKZ. The work will go on to other cities where there are tramlines. The next stop- Rotterdam and the Deaf Festival �04 Affective Turbulence: The Art of Open Systems in November. Thanks for sharing this event Shu Lea. Would you comment on your involvement in this project? Can you, for instance, compare the Zurich and Vienna experiences? Is there online documentation of the Zurich events that you can direct folks to? Collaborative and collective process is really important to us (blog & conference organizers) and we see it as a core component of networked_performance - both within groups developing work, and with the inclusion and contribution of viewers/users/participants/ to the work. The website notes that 'the Mumbai Streaming Attack study group expands to include local participants for each performance'. Do you mean in the respect that participants can upload sounds and contribute in that manner - or do you also connect with local artists for implementation/augmentation of prior iterations of the work? Would you talk about the technology and process involved? Would you give us an overview of your personal practice and describe how this particular project is a continuation of that or has grown out of your former practice? Would you comment on your specific involvement in this project? ABOUT THE WORK: Each driver/jammer conceives and collects soundfiles for a chosen tram route, joins together on location and online to perform collective impressions of Vienna city limits, whose tramlines connectivity forms the city's transport mainframe. Along each tram route, personal, social and political association are considered for the composition of the specific sound files. Local sound artists, hackers, jammers are invited to �drive� and �mix� the (sound)stracks. The city's tram info broadcast cuts in to inform the happenings by the minute as the trams cable through the cities. TRAMJAM also extends its programming to involve the city's mobile community. Through mobile devices, the transporting public are invited to send in voice/sound/texts messages for the mix. The live performance is streamed live on the internet and on local radio. We invite the travelling public to listen in with their travelling radios. The orchestration of the tramlines/tramtracks is self-directed syncopation with open source soundfiles that are accessible to all participants. Mumbai Streaming Attack is a networked performance study group currently based at SNM/HGKZ in Zurich. The group first performed TRAMJAM-ZURICH RUSHHOUR for broadcast at reboot.fm (Berlin) in February, 2004. The group's members expand to include local participants for each tram city performance. B.L.O.O.D.F.O.R. S.A.L.E. As James Joyce did 100 years ago, Christophe Bruno walks through Dublin, but with a Wi-Fi handheld and a digital camera. He records everything he sees, mainly company logos or brands, as if his eyes were "spammed". Then, through the wireless network, he sends all this visual spam to a program on his server that fetches related "sponsored epiphanies" from the whole Web. These epiphanies are incorporated into the text by Joyce in real-time. The program allows these "sponsored epiphanies" to disturb and transform the text of Ulysses, "Wandering Rocks", by incorporating themselves into the text. The real-time evolution of the text is displayed and graphically animated, sentence by sentence, projected in different places in Dublin, and online. By the end of the performance, carried out over several days, the original text by Joyce is almost entirely replaced by the "sponsored epiphanies." Joanna Berzowska, XS Labs, will chair this SIGGRAPH session on Intermedia Performance in LA, 12 August. Projects range from dance-based, eye controlled imagery to cinema editing as live performance. Spawn is an interactive dance architecture developed by Carol Brown Dances, choreographer, and Mette Ramsgard Thomsen, architect, that aims to conceive an embodied space by investigating presence and being in environments that merge physical and virtual dimensions (mixed realities). Application of the research is described in the production The Changing Room, choreographed for three performers and a virtual other, which takes place within the framework of an interactive architectural environment. Embedded within the furniture of the room are a series of screens through which a virtual presence is rendered, mirroring, extending and distorting their behaviour. The Changing Room explores the complexity of lives lived in the mediated conditions of the technological and at the edge of the real. NightDriving, developed by John Crawford, electricFX Media, and Lisa Naugle,University of California, Irvine, is a hybrid media work, combines live performance of contemporary dance with digital video animations derived from the movement of the dancers. Junji Watanabe and Susumu Tachi, University of Toky, use saccade-based display, so the audience can perceive different images from what physically exists on the stage. The display enables illusory interactive performance based on audiences eye movements. The project is developed with Tetsutoshi Tavata and Mariana A. Verdaasdonk, Queensland University of Technology, of cell/66b, and Hideyuki Ando and Taro Maeda, NTT Corporation. Michael Lew, Media Lab Europe, presents the Live Cinema research project, aimed at building an expressive tangible instrument for cinema editing and improvisation as a live performance. Described as: Live improvisational video performance transforms the editor into a performer while it requires just-in-time selection and manipulation of video shots and sequences in anticipation of streaming the video images to a large display. This project prototypes an expressive tangible and gestural instrument for two hands allowing performer to play video by using two finger-pointing devices, one on each hand, and two "scratch" turntables for precision mark up of in/out points. The control screen, designed such that it can become a visual element in the performance, features video thumbnails which group themselves using behaviors defined and determined by the performer. He writes about the instrument in this paper. Abstract: The Live Cinema instrument is a cross between a musical instrument and a film editing tool, tailored for improvisational control as well as performance presence. Design specifications for the instrument evolved based on several types of observations including: our own performances in which we used a prototype based on available tools; an analysis of performative aspects of contemporary DJ equipment; and an evaluation of organizational aspects of several generations of film editing tools. Our instrument presents the performer with a large canvas where projected images can be grabbed and moved around with both hands simultaneously; the performer also has access to two video drums featuring haptic display to manipulate the shots and cut between streams. The paper ends with a discussion of issues related to the tensions between narrative structure and hands-on control, live and recorded arts and the scoring of improvised films. Art Mobs: Can an online crowd create a poem, a novel, or a painting? Or, "Just how inventive can an anonymous group of people be?" You might want to check this one out. Clive Thompson looks at James Surowiecki�s new book, "The Wisdom of Crowds: Why the Many Are Smarter Than the Few and How Collective Wisdom Shapes Business, Economies, Societies and Nations". Surowiecki argues that "under the right circumstances, groups are remarkably intelligent, and are often smarter than the smartest people in them." You might also want to check out an earlier book, Smart Mobs by Howard Rheingold. There's a weblog (started in '02, I think) on the site. Plaintext Players, Desktop Theater, and Avatar Body Collision -- three theater groups working with avatars. The Plaintext Players, a group of artists, writers, playwrights and performers, began creating live online theater in the MOOs in �94. Antoinette LeFarge, the founder and artistic director has written a fascinating analysis of performance there, A World Exhilerating and Wrong: Theatrical Improvisation on the Internet, which I would recommend to anyone interested in online theater, how it worked in the MOOs, and how it differs from regular theater. In the past nine years the Plaintext Players have undertaken dozens of performances in the multi-user environments known as MOOs, and in online Chat sites at thePalace.com, where participants are represented by graphical avatars. In both environments the proscenium has been removed -- the boundary between performer and audience dissolved � and theater become a form of dramatic improvisation where there is no foretelling what may occur. Sometimes wonderful things do. One of my favorites occurred when the Desktop Theater group, led by Adriene Jenik performed Beckett�s “Waiting for Godot” in thePalace.com. The text was Beckett�s , the characters the same as those in the Beckett play, but they were joined by anyone who happened to log-on to thePalace and find their way into the room where the play was being performed. A hunk named Muscleman was one of the �chatters� in the room and his improvisitory interruption � he changed his avatar�s name to Godot -- made this performance a first: one in which Godot finally showed. Desktop Theater, which began its experiments in �97, is based at UCSD and has been doing theatrical interventions primarily in thePalacecom. Since Godot, they�ve compressed several other written works and developed original material for their growing troupe of international actors including avatar-based improvisations. 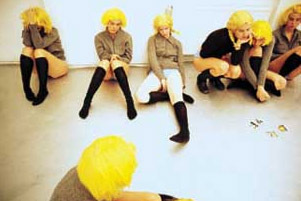 �Visual chatrooms, � Jenik says, � represent anticipatory spaces ripe for dramatic play�Those of us committed to breaking down the barrier between actor and spectator find immediate interest in the arrangement of participants,� (the chatters) �sharing the same arena, already masked and performing versions of themselves.� Desktop Theater appears to have concluded performing in 2001. Avatar Body Collision is currently the most active of the three troupes (as far as I can tell) and co-founder Karla Ptacek has written about it in an earlier blog. Engaged in what is described as �an ongoing exploration of the collision between theatre and the internet� this group uses chat programs - sometimes combined with live-stage performers � and has created its own open source performance-chat software. Recently they have also begun to use wireless technologies � about which I hope we'll hear more in upcoming comments. In her post, Karla says, a lot of the problems that beset theater in these spaces revolve around time. Antoinette LaFarge talks about �lag� in her 1995 article. I remember �lag� well from the short time I spent in MOOs � newbies are always taking the blame for it � but as LaFarge points out, in a text world, where the improvisational dominates and performance generates its own script rather than visa versa , lag too can have interesting results. Perhaps we could talk about online performance and "time" from the point of view of avatar and other forms of online theater...thoughts? Welcome to everyone interested in the future of networked performance. We are planning a conference in the Spring or Summer of '06 and would like to invite you to play a role in its development by giving us your perspective on what the important issues are in networked performance today. The conference will bring together practitioners and scholars from all forms of networked performance -- distributed Internet performance (including dance-, theater-, and music-driven works), avatar theater, online performance art, multi-user gaming performance, mixed reality performance, and other hybrid forms. Multiple institutions and organizations will play a role in the conference. New Radio and Performing Arts, Inc. (NRPA), a not-for-profit media organization. parent of the turbulence.org site, Emerson College, Boston and the State University of California at Monterey Bay (CSUMB) are currently working together to develop the conference. We plan to work with additional organizations that will commission and/or host performances for the conference. We hope through this blog to obtain a wide range of perspectives on current issues and challenges in performance practice and uncover points of mutual relevance that will help build the content of the conference. So tell us who you are, what you're doing, what problems you are encountering, and what issues you would like to discuss. Also give us your URL -- we will post it in our links section -- as well as the dates of any upcoming performances.